And Lee Spear Burridge is dragged into it! 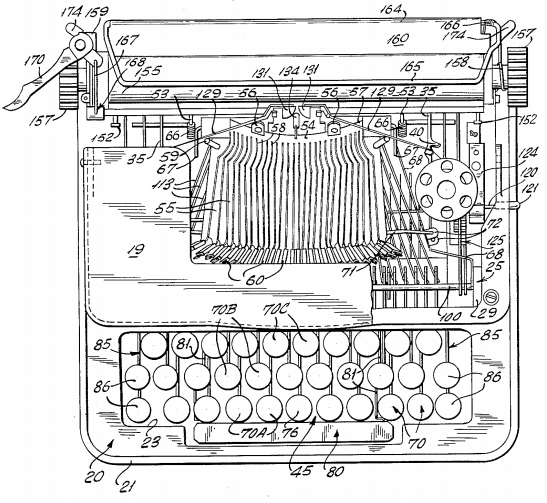 The court noted the only noticeable difference between the Marxwriter and the Buddy L Easy-Writer was in the "closed keyboard" described in Willis Ernest Rexford's patent. Buddy L claimed this was enough for it to have avoided infringement. 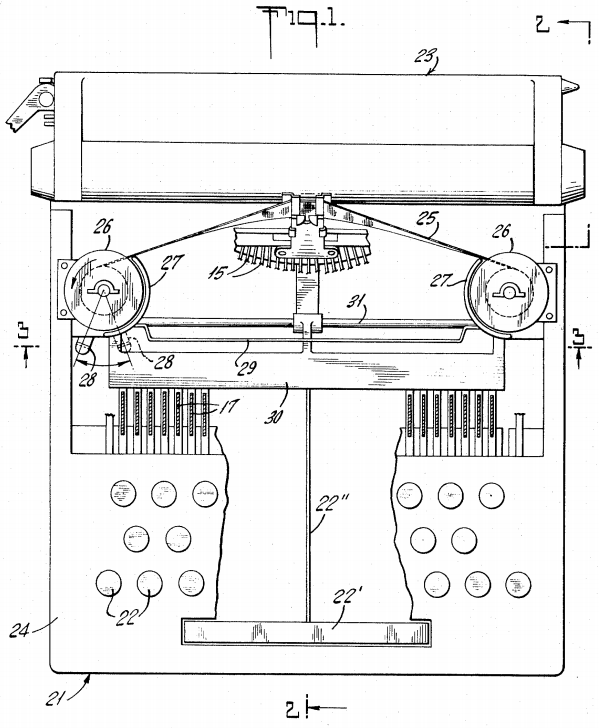 While searching for something to post in the "On This Day in Typewriter History" series on March 4, I came across a group of toy typewriters designed by Willis Ernest Rexford, of Girard, Pennsylvania, and assigned to Louis Marx. The most striking, and one I instantly recognised, was US patent No 3,338,369, applied for in October 1965 and issued in August 1967. 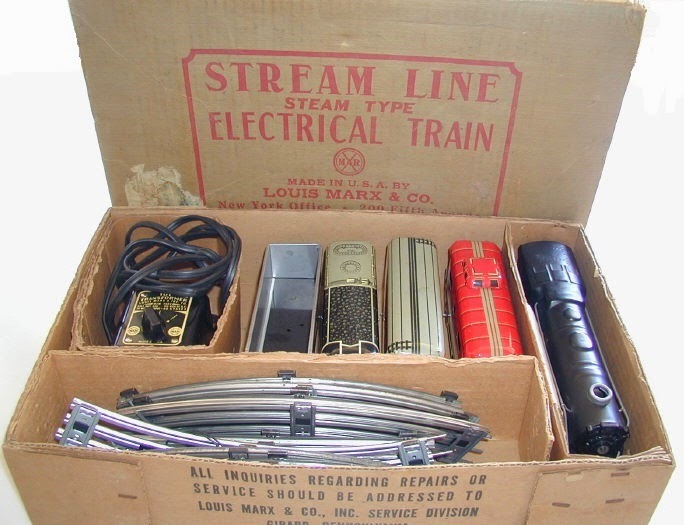 By coincidence, blogger Jim Meyer posted on a Marxwriter ("An Interesting Find") on his Typing and Tinkering blog just a few days after I found the Rexford designs. When I went downstairs to find Marx toy typewriters to illustrate a post on Rexford, I quickly realised how easy it would be the get confused between Marx toy typewriters and those from Buddy L. So much so, I checked to see if Buddy L had ever made typewriters using the Marx designs. What I found, instead, was that Marx had taken Buddy L to court over these very obvious similarities - claiming an infringement of Rexford's patent No 3,338,369. The hearing was heard in the United States District Court, New York, from May 26-30, 1978, before district judge Edward Weinfeld. Marx and Buddy L were described as being "in the business of importing and selling toy typewriters. At the time in question, both purchased their stock from a single Japanese manufacturer. "Plaintiff sold the Marxwriter and defendant sold the Buddy L Easy Writer, which are substantially similar in appearance and working parts. Marx, alleging infringement of one claim in each of two patents it owns and unfair competition, brought suit against Buddy L.
"At the close of a four-day trial, the Court granted defendant's motion to dismiss one of the patent claims and the unfair competition claim. With those claims dismissed on the merits, there remains but one claim of patent infringement to be decided. Marx owns patent number 3,338,369, which was issued to one W. E. Rexford, a former Marx employee, on August 29, 1967 (the "Rexford Patent") which is allegedly infringed by Buddy L's Easy Writer." The critical part of Rexford's design required only three dies and could be made from plastic, rather than using more expensive metal, and was easily installed. "Both the Marxwriter and the Buddy L machine have mechanisms which largely incorporate elements of the Rexford claim. 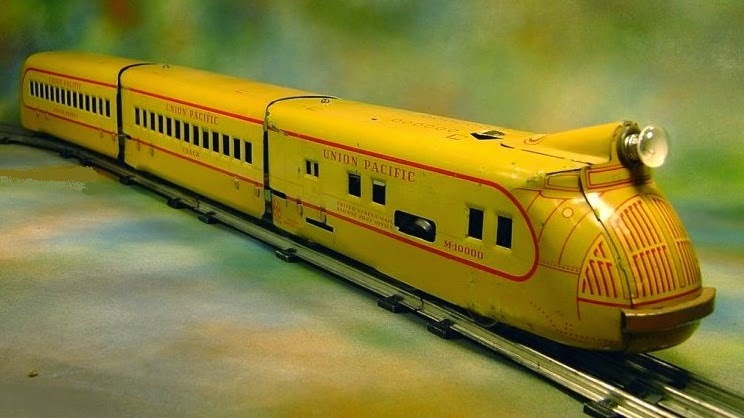 "Buddy L's primary attack on the Rexford patent is that it was 'obvious at the time the invention was made to a person having ordinary skill in the art', and hence was unpatentable ... In short, the question is whether the Rexford claim would have been 'obvious to a hypothetical mechanic who, among other things, has the prior art in mind when he endeavour[ed] to solve the problem for which the patent is obtained'. "Plaintiff's counsel acknowledged that 'the most pertinent prior art uncovered', the [Lee Spear] Burridge patent, was not considered when the Patent Office examined and then granted the Rexford patent. Patent number 1,060,582 was issued to one L. S. Burridge in 1913 upon an application dating back to 1901." This was for an improvement to Burridge's Sun N0 2 typewriter. 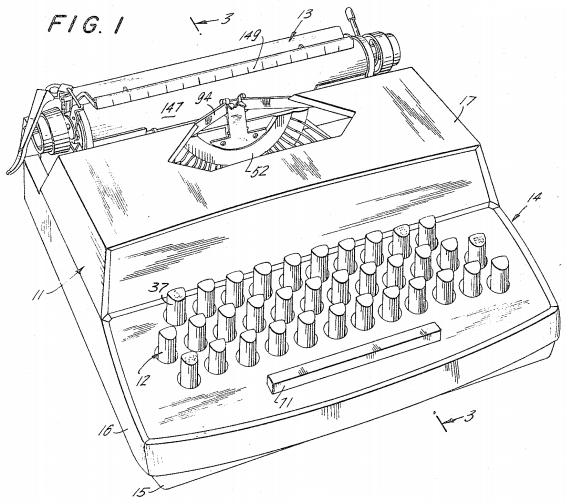 Marx's expert witness was James E. Thomson, who designed the Tom Thumb metal (later plastic) toy typewriter. He was described as "the holder of seven patents in the juvenile typewriter field". 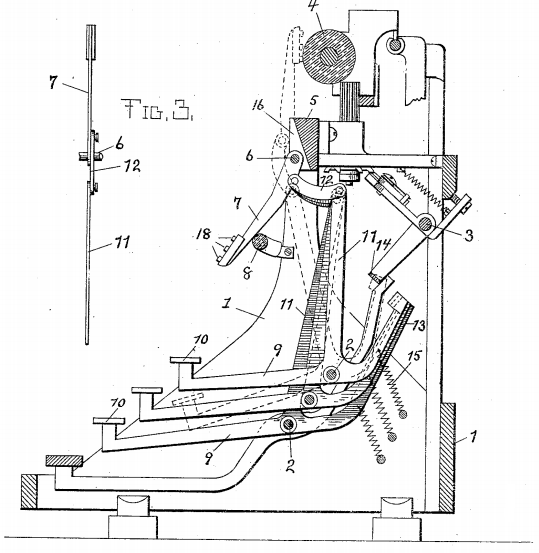 Thomson agreed that "Burridge discloses a three-armed key lever wherein the arms respectively are joined to the key, to the universal bar, and to the type lever through a linkage, and perform virtually the same functions as do the corresponding parts in the Rexford machine". Thus Buddy L won this final point as well. Buddy L argued that Rexford was "so clearly obvious in light of Burridge that Marx could not have had a bona fide belief in its validity". The court found "the Burridge patent is the key to the Court's finding of obviousness and hence invalidity in Rexford['s patent]". Yet "had the Court narrowly limited the scope of pertinent prior art to the category of juvenile typewriters, as urged by plaintiff, Burridge would not have even been considered". Marx argued that the pertinent prior art should be limited to toy typewriters. 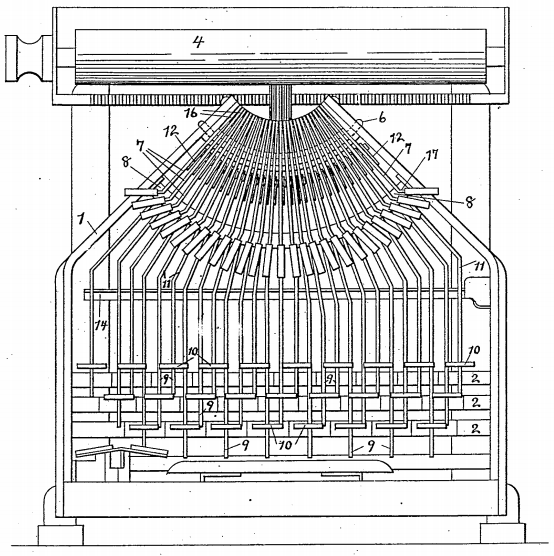 The court said, "Aside from the fact that one would expect an inventor of a toy typewriter to consult a larger portable or office machine even if changes would be necessary to account for the difference in sophistication of the intended customer, the prior art cited by the Patent Office during the prosecution of this patent included machines other than juvenile typewriters and [Marx] raised no objection at that time". Nonetheless, Buddy L failed to win court costs. Marx charged that Buddy L knew that the Japanese manufacturer used Marx's tools, molds and dies in producing Buddy L's typewriter, and that Buddy L's purchase of these goods from the manufacturer constituted unfair competition. The court found that Buddy L had neither knowledge nor reason to know that this was so. Later Marx argued that Buddy L had appropriated Marx's trade secrets and was liable "for unjust enrichment", whether or not it had knowledge. Also dragged into the case was a 1971 typewriter design by Shigeaki Kuramochi of Tokyo for Marx. To read full details of the case (many of them very technical in relation to typewriter mechanical designs) go here. Marx's president said at the start of trial that "the present owners of Marx purchased the company after the events in question and have had great difficulty in obtaining much of the documentation relating to the prior owners' period of control". Fred Lundahl persuaded Marshall Field's and F. A. O. Schwarz to carry his line. He did very well until The Depression, then sold the company. 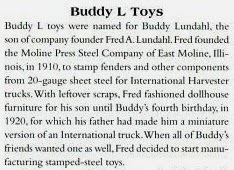 From 1976 to 1990, Buddy L was owned by Richard Keats, a well-known New York toy designer who went to work for Buddy L the day after he graduated from Brown University in 1948. In 1990, Keats sold Buddy L to Empire Industries of Boca Raton, Florida, a subsidiary of Empire of Carolina. Louis Marx's 1922 passport photo. He was 25 at the time. 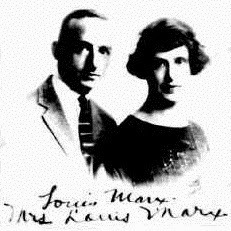 Louis Marx was in business from 1919 to 1978. Founded in 1919 in New York City by Marx and his brother David, by 1922 the brothers were millionaires. Unlike most companies, Marx's revenues grew during the Great Depression, with the establishment of production facilities in economically hard-hit industrial areas of Pennsylvania, West Virginia, and England. By 1937, the company had more than $3.2 million in assets. 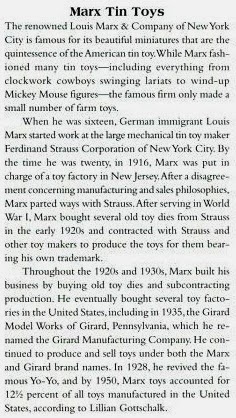 Marx was the largest toy manufacturer in the world by the 1950s. In 1955, a Time Magazine article proclaimed Louis Marx "the Toy King," and that year the company had about $50 million in sales. Marx was the initial inductee in the Toy Industry Hall of Fame, and his plaque proclaimed him "The Henry Ford of the toy industry". At its peak, Louis Marx and Company operated three manufacturing plants in the United States: Erie, Pennsylvania, Girard, Pennsylvania, and Glen Dale, West Virginia. 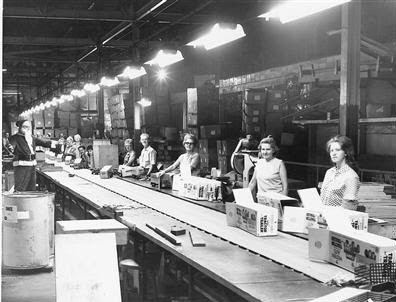 The Erie plant was the oldest and largest, while the Girard plant, acquired in 1934 with the purchase of Girard Model Works, produced toy trains, and the Glen Dale plant produced toy vehicles. 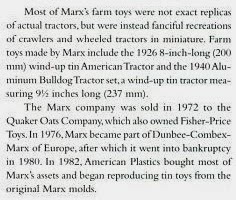 Additionally, Marx operated numerous plants overseas, and in 1955 five per cent of the toys Marx sold in the US were made in Japan. After World War II, like most manufacturers, Marx took advantage of molding techniques with various plastics. More and more plastic models appeared. These Petite toy typewriters, made by Dobson Park Industries (owners of Byron Jardine) in Nottingham, England, were designed by Robert Denby, Anthony Elliott and Robin Boot. Denby, at least, referenced Rexford's Marx designs. Both referenced Thomson. As sales dropped and US labor costs rose, in 1972 Marx sold his company to the Quaker Oats Company for $54 million and retired at the age 76. Quaker owned the Fisher-Price brand, but struggled with Marx. Quaker had hoped Marx and Fisher-Price would have synergy, but the companies' sales patterns were too different. Marx was also faulted for largely ignoring the trend towards electronic toys in the early 1970s. In late 1975, Quaker closed the plants in Erie and Girard, and in early 1976, Quaker sold its struggling Marx division to the British conglomerate Dunbee-Combex-Marx, which had bought the former Marx UK subsidiary in 1967. By 1980 the last Marx plant closed in West Virginia. The Marx brand disappeared and Dunbee-Combex-Marx filed for bankruptcy. Some popular Marx tooling is still used today to produce toys and trains. A company called Marx Trains produced lithographed tin trains, both of original design and based on former Marx patterns. Plastic O scale train cars and scenery using former Marx molds, are now marketed under the K-Line by Lionel brand name. 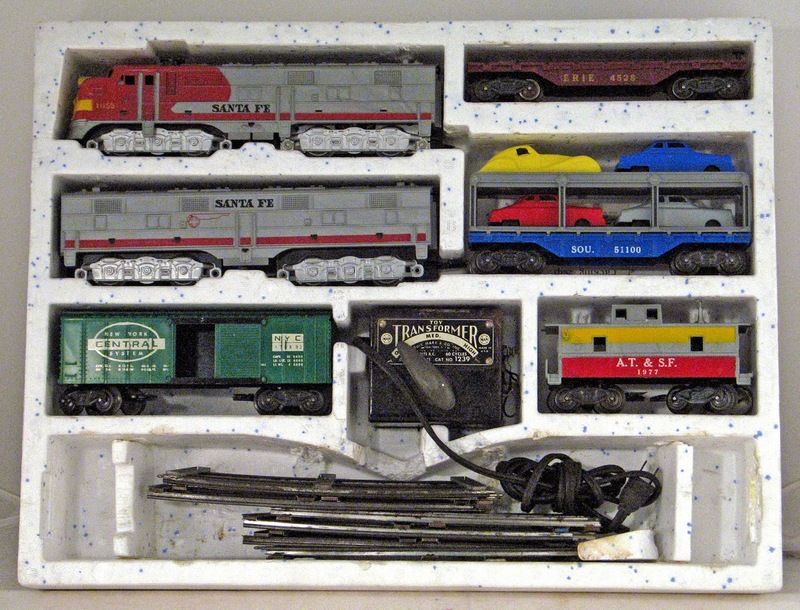 Model Power produces HO scale trains from old Marx molds. Interesting about the toys. I vaguely remember having a toy typewriter my mother bought for my sister and I so we would not play on our old Underwood. Did not work. The toy typewriter was a plastic piece of junk even though it had real type bars and a ribbon. We hardly ever even took it out of the box instead continuing to want to use the real one.